Brake at high speeds with ease with the Framed Alloy Bike brake levers. Fully designed to work along with original drop bar shifters and levers on most bikes, these just add another braking position when things get squirrelly. 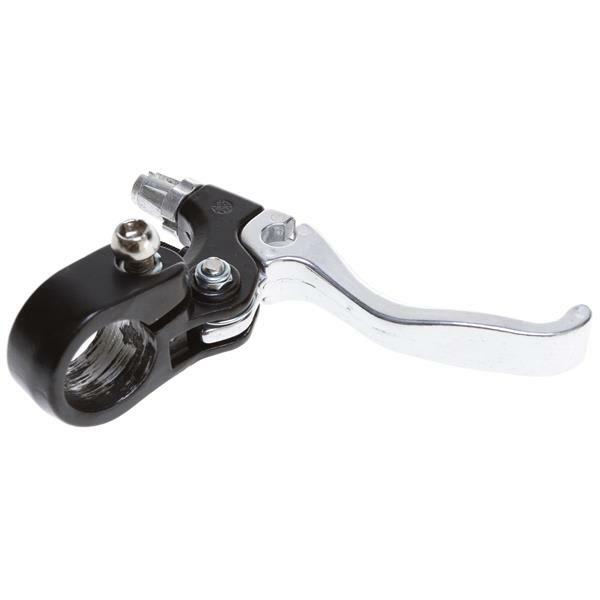 The alloy constructed lever is very easy to install to your current brake cable with its hinged machined bracket, and this lever that is placed on the upper handlebar is surely comfortable for any type of hand positioning. Keep your riding in total control with these lightweight Framed Alloy Bike levers. Will it slide over a 1.3" rubber grip then clamp on a 7/8" handlebar? Basically... no. You will need to remove the grip. This Framed Alloy Brake Level will clamp nicely to a 7/8" handlebar.